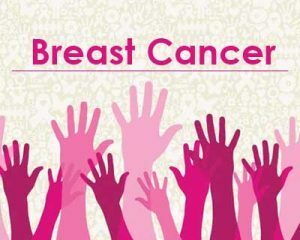 London : A recent study suggests that targeting a specific blood vessel molecule may help to prevent the deadly spread of breast cancer. Blocking the molecule with a drug could even help to prevent and contain the spread of breast cancer. Endosialin is produced by pericytes, large spider-like cells that wrap around blood vessels and support their growth and function. Early research showed that removing the protein from genetically engineered mice stopped breast cancer cells migrating into blood vessels. A follow-up study of 334 women with breast cancer found that those with higher levels of endosialin were significantly more likely to experience metastasis or cancer spread. “We found that a molecule called endosialin, which is produced on the surface of pericytes, plays a key role in aiding the getaway of cancer cells. We believe that endosialin could be a useful marker of how likely a woman’s breast cancer is to spread around the body. And it might even be possible to block cancer spread by targeting this molecule with new drugs something we plan to explore in future studies,” she said.